Some UK businesses are banning delivery drivers from using toilet facilities while making on-site deliveries. The UK Government says it is powerless to act against businesses that refuse to let drivers use their rest room facilities. In Australia the issue of highway rest areas and the lack of clean truck driver facilities does pop up on a regular basis. But spare a thought for our British trucking compatriots. It seems that over recent years quite a few UK businesses are banning delivery drivers from using toilet facilities while making on-site deliveries. The issue has grown to the point that peak representative body the British Toilet Association (BTA) has become involved. 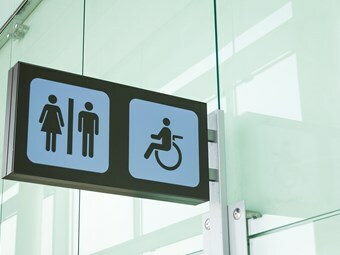 BTA management committee member Gillian Kemp has waded into the fray after the UK’s Department for Transport admitted that it was powerless to act against businesses that refused to let drivers use their rest room facilities. The department says it "has no power to intervene in these cases". Kemp has launched a study to investigate just what sort of long term health risks are posed by forcing people to "hold-on" instead of answering the call of nature. "As a member of the British Toilet Association I am carrying out a study to investigate the extent to which the reduced number of toilet facilities may affect the health and wellbeing of lorry drivers," Kemp says. "The study is being conducted to determine the current situation in the first instance, with the ultimate aim of suggesting ways in which the working environment for lorry drivers could be improved. It is anticipated that any proposed actions might also benefit other mobile workers. "Holding on does affect bladder and bowel function and can be quite serious."